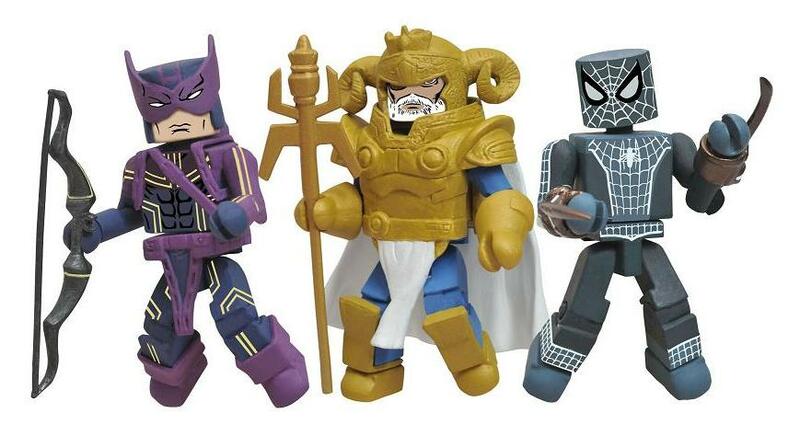 Art Asylum has revealed two new Marvel Minimates box sets. The new sets will be based on the the “Fear Itself” storylines. The two sets will be called The Worthy and The Mighty. One of the biggest comic events of 2011 — one whose effects are still rippling through the Marvel Universe — was “Fear Itself.” The massive Marvel Comics crossover, which saw eight mystical hammers fall into the hands of the world’s worst villains (and some of its greatest heroes, as well), gave us some amazing battles… as well as some sweet new costumes! 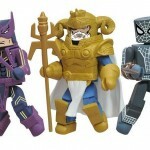 To commemorate the Earth-shattering storyline, Diamond Select Toys is releasing two box sets of Marvel Minimates: The Worthy and The Mighty! The Worthy box set includes Cul, The Serpent (the Asgardian god of fear); his herald Skadi (a.k.a Sin, the Red Skull’s daughter); Mokk, Breaker of Faith (formerly the Grey Gargoyle); and Angrir, Breaker of Souls (formerly the ever-lovin’ blue-eyed Thing). 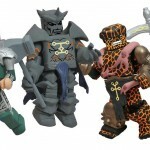 The Mighty box set includes Asgardian All-Father (and Cul’s brother) Odin, as well as Spider-Man, Hawkeye and Iron Man in their final battle costumes, with their dwarf-forged uru-metal weapons. (Iron Man not shown.) Look for these to arrive this summer at comic shops and specialty stores near you! Pre-order today!